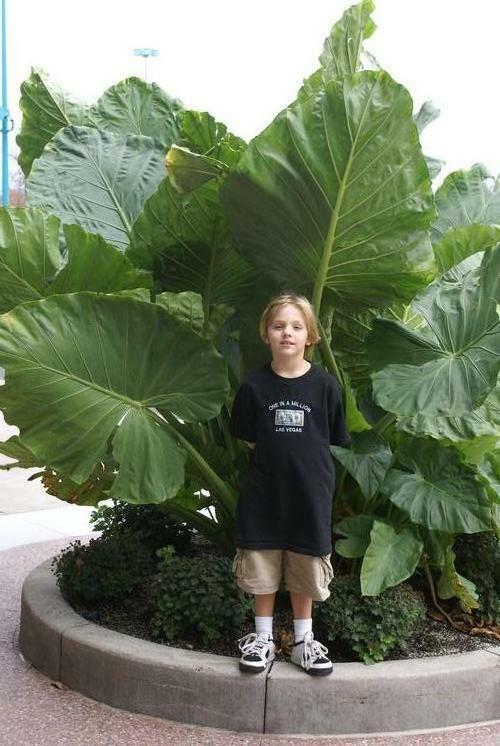 Upright Elephant Ears are similar to regular Elephant Ears but with taller, upward-facing foliage, the giant green leaves make a statement, works well next to a pond or stream, extremely easy to grow and ideal for containers. Similar to regular Elephant Ears but typically taller with upward-facing foliage. The giant green leaves make a statement in the garden or as a patio plant and also work well next to a pond or stream. Extremely easy to grow and ideal for containers.